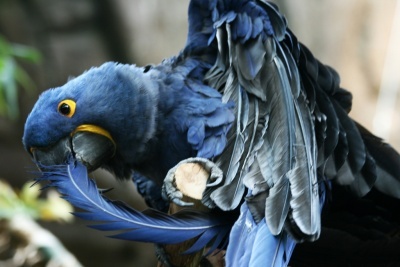 Parrots and other birds that can be taught to talk usually have long lifespans. They sometimes outlive their humans and have to be re-homed. 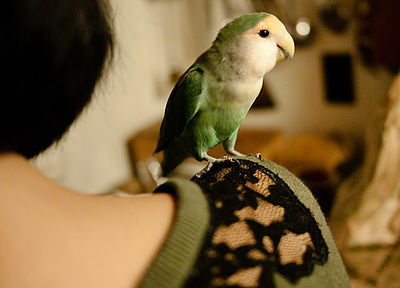 Teaching your bird foul language may seem like fun to listen to at first. But it can turn out to be very embarrassing as you may have some guests who will be offended. 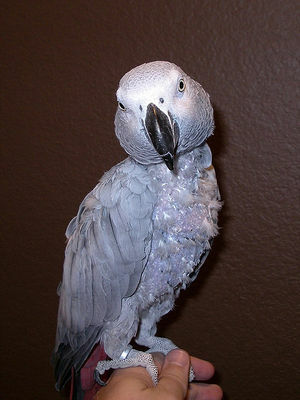 If your bird has to be re-homed, most people, especially families with young children, want to adopt a bird that has good manners, not one that speaks trash. Sometimes a bird is adopted without your prior knowledge of its offensive language. Retraining takes time, a long, long time. You may try saying a loud “NO” when this happens, but it’s doubtful that it will work. Another trick is to replace the foul word with a nice word that sounds similar. Of course if you ignore the bird when s/he talks trash, the bird may eventually stop. These steps will take a long time too, but well worth the effort. Once parrots start talking, they can pick up words pretty quickly. So when your bird is nearby, you might want to watch what you say. And pass this on to other family members and guests no matter how cute they think it is to listen to a bird say off color words. In the long run, you’ll be glad your bird speaks nicely.